DS Introduces its international city centric approach to system change and adopts the mission statement: “Towards a sustainable planet – one city at a time”. DS co-founds SMART, a multinational consortium supported by the European Commission. SMART assists SME’s identify and access projects and funding sources in Europe. DS plays a key role in the dissemination of the group’s results and milestones through its conferences. SMART members include large corporations, clusters, innovation agencies and technology transfer companies. DS initiates active discussions with partners about organizing “The DS Process” in several cities in Europe and opens an office in New York to lead expansion into the United States and Canada. 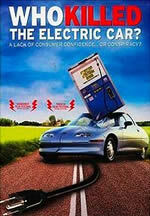 Chris Paine, the director of the film “Who Killed The Electric Car?” speaks at the conference and conference guests are invited to an exclusive screening of his film. After the screening, Chris announces his plan for a sequal “The Revenge Of The Electric Car” and starts shooting footage for the new film at the conference. In preparation for the 2008 conference and to push for meaningful decisions, DS proposes an action plan “Reykjavik 2020 vision” to the Major of Reykjavik and Reykjavik Energy. The purpose is set action in motion to achieve major milestones in “the use of domestic energy in transport” by 2020. The world renowned adventurer/scientist Bertrand Piccard demonstrates to DS conference delegates how boundaries will only be pushed with vision, determination and hard work. After the conference, DS is commissioned by Reykjavik’s Bus Operator to prepare proposals for the implementation of green energy for city buses. The proposal spans ten years with the immediate expansion of the existing methanol powered fleet and gradual integration of electric buses. 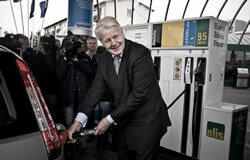 The first ethanol pumping station in Iceland is opened during the conference. 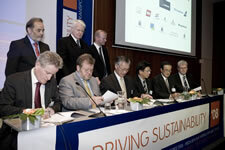 DS organizes the first Driving Sustainability conference in Reykjavik. His Excellency, Mr. Ólafur Ragnar Grimsson President of Iceland agrees to become the event’s patron. This first conference turns out to be an important catalyst event where an active, widely publicized debate on the future of transportation spurs private and public initiatives and has a lasting effect on public opinion. an ongoing progress in this area. Barriers to change are challenged and an active discussion on the opportunities of “energy independence” begins. Driving Sustainability established building on the vision that new technology, replacement of infrastructure and application of green energy in transportation is the “next big thing”. DS commences on a quest to accelerate and lead system change by creating a venue for active debate on solutions and a platform for action. 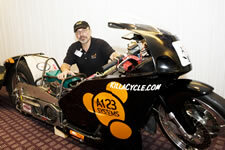 The first event is organized in the “World’s Greenest Economy”.